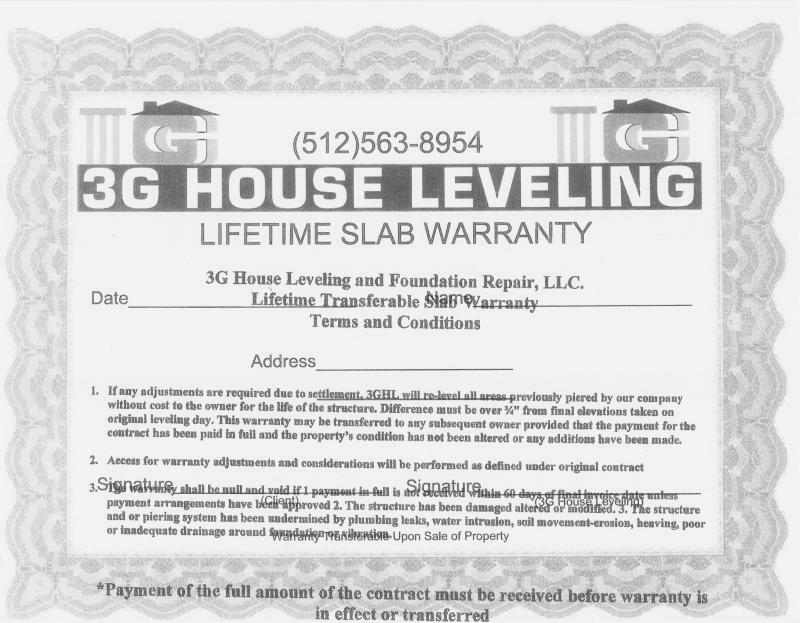 If any adjustments are required due to settlement, 3G Foundation Repair will re-level all areas previously piered by our company without cost to the owner for the life of the structure. Difference must be 3/4″ from final elevations taken on original leveling day. This warranty may be transferred to any subsequent owner provided that the payment for the contract has been paid in full and the property’s condition has not been altered or any additions have been made. Access for warranty adjustments and considerations will be performed as defined under original contract. IMPORTANT: Warranty not in effect until balance is paid in full.